You can judge for yourself at GrassIsNotGreener, where a blog post talks about the ad. 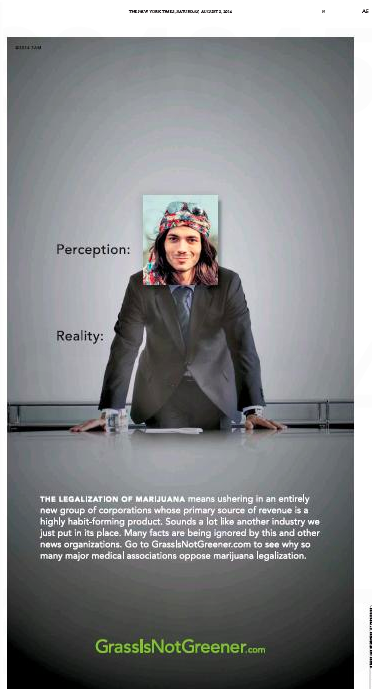 You can judge for yourself at Leafly. But forewarned is forearmed: As the ad says lower right, Leafly is a Privateer Holdings company, which sees Leafly as a “Yelp for marijuana” according to Geekwire. This is gonna get very interesting, yo. 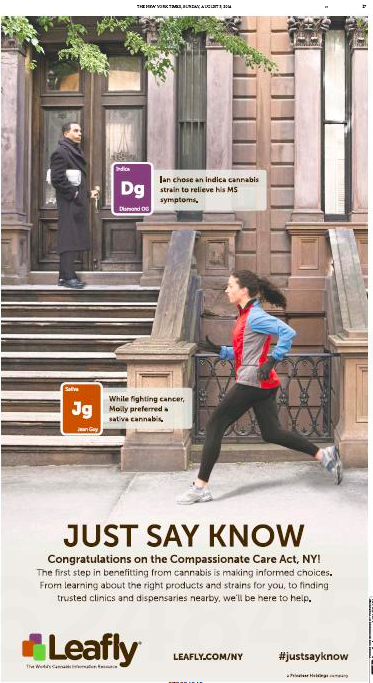 This entry was posted in Uncategorized and tagged #justsayknow, Ad Age, Compassionate Care Act, Geekwire, GrassIsNotGreener.com, just-say-nuts graf, kick-in-the-nuts graf, Leafly, marijuana legalization, New York Times, Privateer Holdings, Yelp for marijuana. Bookmark the permalink.